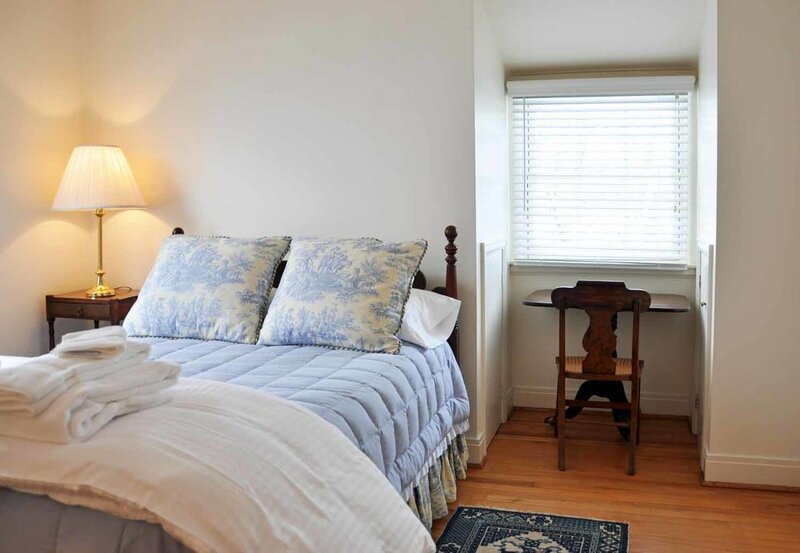 Three bedrooms are upstairs, including a luxurious master bedroom with four-poster bed. The master bedroom has a private en suite bathroom. two additional light-filled bedrooms ARE also upstairs , WITH A HALLWAY FULL BATH. The Upper Guest House is suitable for a large family, as the first floor layout is spacious and comfortable, with sofas, overstuffed chairs, occasional chairs and sun-filled living room and sun room. The master bedroom upstairs and sunroom downstairs overlook the romantic farm fields extending to the main road. 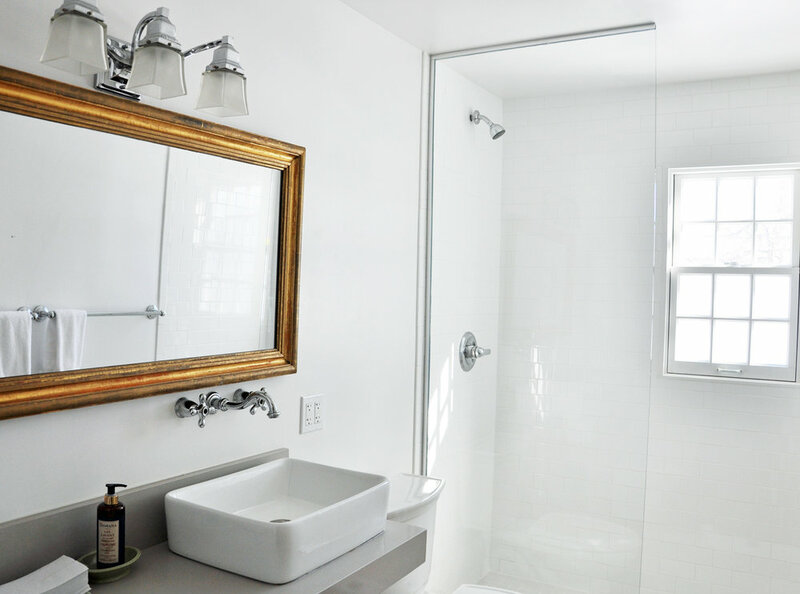 The kitchen, bathroom and bedroom on the main floor are welcoming spaces with privacy, yet accessibility, to the full floor. There’s a personality to this home that is at once comfortable and graceful. The main floor features a library, living room, sun room, kitchen and entry vestibule, bedroom and bath. Flat screen televisions are located in the downstairs library and master bedroom upstairs. There is a kitchen near the entry vestibule, convenient for cooking and dining.